How do you know when it's time to take the plunge on a wedding venue? We'll help you decipher. You all know the feeling. Your heart starts to flutter, your palms get a bit sweaty, you look like a living version of the “heart-eyes” emoji. You’re in love…with a wedding venue. Okay, so it may not feel exactly the same as when you fell for your future spouse, but it’s pretty darn close. Your wedding venue is going to be the site of one of the biggest celebrations of your life, so look for these signs that a venue is the right one for you. First, think about where you want to get married—in terms of a city and state, not a specific venue. There are advantages to getting married in your hometown or the city or town where you live currently, but you might also want to be more adventurous and marry at a favorite vacation destination or even a far-flung locale. 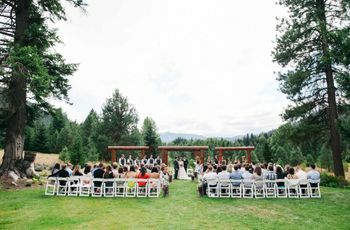 Discuss your options with your future spouse and your families to find a wedding location that works best for everyone. 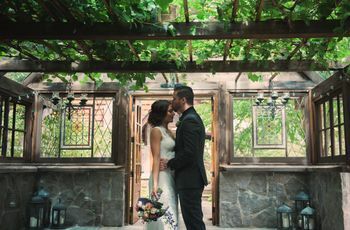 From a particular venue’s website to their WeddingWire Storefront, you’re sure to find lots of photos of each venue you’re considering. Look at images of other weddings that took place at a particular venue—do you want to be the couples in the photos? Do the portrait backdrops make you swoon? Can you picture having your first dance in the reception space? If the answers are all yeses, then this is a venue you should definitely consider! The venue you choose will be the most important indicator of what your wedding style will be. If you’re envisioning a super-formal affair, think ballrooms and grand event spaces. 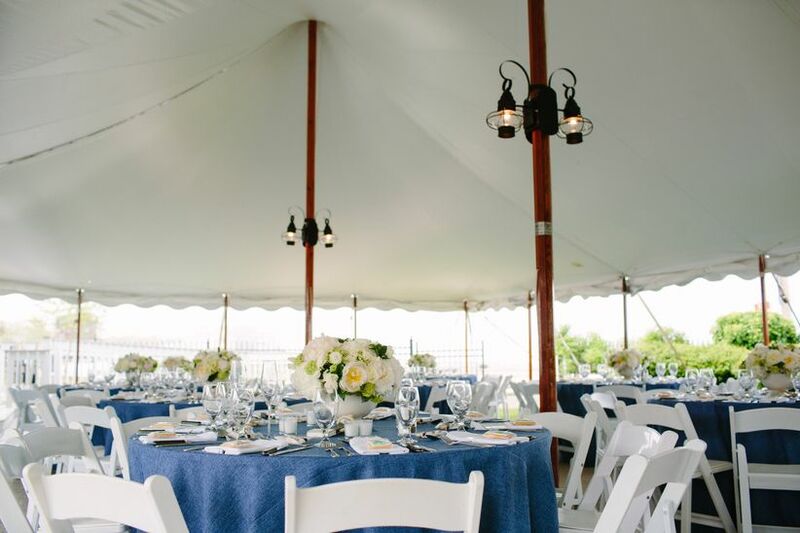 If you’re hoping for a more casual event, beaches or barns are more your style. Your budget should be set before you start looking at venues—if not, get on that! You’ll want to do your research in advance and make sure that you can afford the venues you’re considering. You don’t want to fall completely in love with a venue that isn’t within range. It may not have been love at first sight with your future spouse, but it’s entirely possible that you may have an instant reaction to a particular venue. While you should still do your research and make sure it’s a fit in terms of budget and capacity, a positive feeling can be a good indicator that a venue is “the one.” If you’re already imagining which flowers would look right in the ceremony space or how you’d decorate the entryway, it’s a good sign. While you don’t have to have an exact guest count just yet, you should still have an estimate in mind before visiting venues. If you’re questioning your ability to come in under capacity, it’s probably a sign you should move on to another venue. 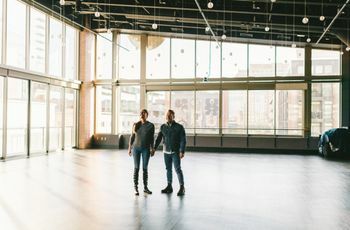 Finding the venue of your dreams is one thing, but it’s almost more important to make sure that the people working behind the scenes are easy to work with. 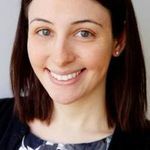 You will be spending a lot of time with the on-site venue coordinators, so make sure they are actually people you trust and genuinely get along with. 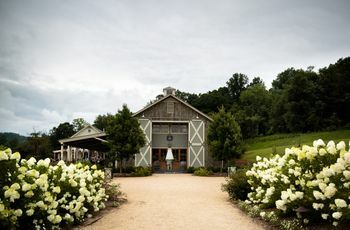 You may have a target wedding date in mind—if so, the ultimate sign that a venue is “the one” is if it’s available at that time. Or, if you’re more flexible, you may prefer to do things the other way—fall in love with a venue first, then pick a date based on when it's available (a riskier move).